Growing up a la the von Trapp family singers, Shawn Hanks has lived with music and performing throughout his life. Now he imparts the knowledge of learning to create a feeling and communicate an idea to an audience among speakers and event partners as the CEO of Premiere Speakers Bureau. Shawn shows us the other way of selling which is to be able to communicate and connect at the same time. He shares some great advice on how you can keep your people loyal just as you do your clients. Shawn also talks about how his merger and acquisitions case became a success, giving tips on how to decide which accounts to target and what to say in your pitch to stand out as a brand. 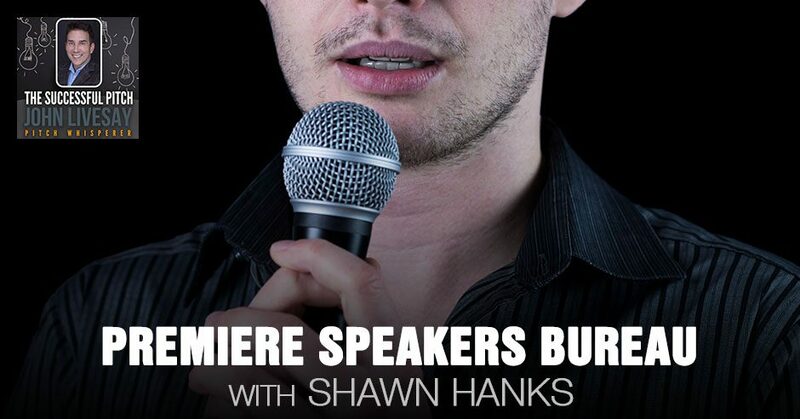 My guest is Shawn Hanks, the CEO of Premiere Speakers Bureau, who adds capabilities from several fields to the team. 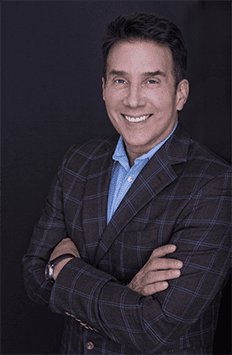 Over the course of his eighteen years in the event industry, he’s gained valuable experience advising corporate associations and non-profit partners. In addition, he provides direction to speakers on the Premiere roster. He’s an avid football/basketball fan and he and his wife survive CrossFit every day together. They are a couple that works together, stays together in Texas. They’re in mid-Tennessee. They have three children and an adorable golden doodle. Shawn, welcome to the show. Thank you very much. It’s great to join you. Thank you. Shawn, I love to ask my guest to tell their own story of origin. You can go back as far as you want, whether it’s childhood, high school or college days. Clearly, there’s some journey that you went on to become the CEO of this amazing speaking bureau, Premiere. I’d love to find out where that all came about, your love of communication and connection. I grew up in a family that was a very musical family. We traveled and performed. Performing, communication, all of those things in my mind are one large path, which is to communicate an idea or create a feeling or an idea in the audience. That was instilled in me from a very young age and I performed most of my life. My wife and I are both from Texas. We’re high school sweethearts. We went to high school together, college together, married after we graduated and moved to Tennessee in 2000. That is the most interesting part as it relates to the Premiere Speakers Bureau. We were in Tennessee for a few months and a friend of mine interviewed for an agent role at Premiere Speakers Bureau. The interview did not go well. That’s a whole other funny story. As this friend of ours walked out, she turned to Duane, the Founder of Premiere and said, “I think I know someone who might be interested in this in this career. He’s got a skill set that fits this.” I came and interviewed on Thursday, October 12th of 2000. I remember that date well because Duane offered me the job as I walked out the door. I was in a fundraising role. I was doing development for a large nonprofit. I went to my employer who was a great guy, very generous. I said, “This isn’t what I want to do with the rest of my life. I have a unique opportunity with a speaker’s bureau.” He asked the same question that I asked, the first question of my interview, which is “What is a speaker’s bureau?” That was 2000. Google existed, but we didn’t know how to use it yet. Maybe it was AltaVista, I don’t know, wherever we were using to search at the time. I didn’t do a great job because I had to figure out what a speaker’s bureau was. He was very generous and said, “I’ll give my two weeks’.” He said, “If that’s what you want to do, go for it. We’ll wrap up all your relationships.” I called Duane on Friday morning and said, “I’d love to take a stab at this thing,” and literally started the next Monday. As they say, the rest is history. I’ve been here about nineteen years or will be nineteen years. That’s the genesis of what brought me to Premiere Speakers Bureau. If I’m honest, we’re still answering that question every day. What exactly is this speaker’s bureau? Hopefully, we’ve found some answers along the way. I want to double click on this musical touring. I envisioned the von Trapp family from the Sound of Music vibe. 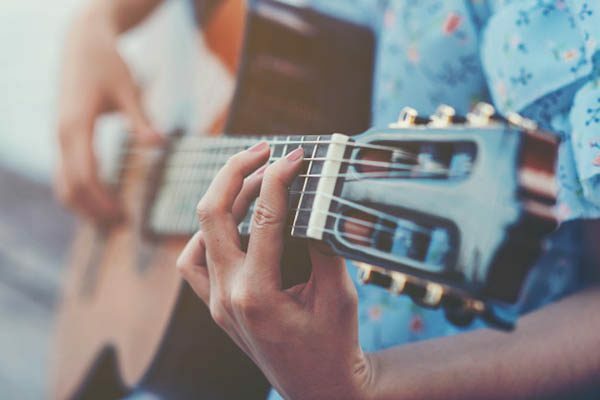 Let’s hear a little bit of that because there’s a big connection between music and math and communication and music, and the importance of silence and things like that. You’re touring with your family, performing music. You’re playing instruments and singing, I’m guessing? In fact, you plugged the instruments in. It was required in the Hanks family that every child or kid at the time had to learn a musical instrument. You start with piano because that is a great way to learn theory and all those things. That was instilled in me early on in life. I performed all through high school musicals and all that stuff, church musicals. I have Music Ed degree of all things with a focus on performance and then theory as well. Music is like learning a foreign language. There’s a lot of math and algorithms essentially built into it. It’s a great way to challenge kids and adults’ minds. Keeping young and keep your brain working well. Music is a great tool in a lot of ways. It’s got a lot of corollaries and parallels to the industry I live in, which is communicating and people being able to own a room and control emotions and the journey that a group of people is on together for an hour. It’s a very similar process. What were you doing before that fateful day on October 12th, 2000 after the music experience that allowed you to think that this may not be what you wanted to do, but you at least learn some business skills from? I had worked at a university for several years in a recruitment role and then also a development role. That was at my wife and I’s Alma Mater, Mary Hart and Baylor, a small private school in Texas. When we moved to Nashville, I assumed a similar role with a large nonprofit based here in Nashville. It was a great opportunity for me. It put me in a room with high-net-worth individuals. I had about 30 to 45 seconds to tell them why I would need their considerable donations versus probably the line of people sometimes literally behind me. They would schedule five meetings in a row and come and pitch me on why your nonprofit has more value or specific value to where I want to invest my asset. That gave me an opportunity to hone those skills of being able to quickly define value and make it unique and essential to someone. I did that for probably about six months and that led to this opportunity. That wasn’t what I wanted to do with my wife if I was really honest. I couldn’t answer that question, what do you want to do with your life? I knew I wanted to do something interesting and unique. That’s where I ended up because I had to figure out what a speaker’s bureau was that made it interesting and unique. That selling experience, why you should give your money here to this nonprofit versus this, must be somewhat similar except you’re more passionate probably about what you’re doing now of why a big company should work with Premiere Speakers Bureau versus another one. Is that accurate? That’s perfectly well said. We have eleven agents on our sell side. Selling in our world is the wrong term. I’m a big believer in the term advocacy or consultancy because ultimately we are selling a speaker to a large event. They have a thousand attendees. A great salesperson can convince someone, “Bring in this speaker.” If it’s not the perfect speaker to communicate the right idea, the thrust of the event, it falls flat. Our role here is to talk to our event partners. We’re working with about 2,000 events this year. Speaking: Music is about communicating and having people be able to own a room and control emotions. They’re all professional speakers, John. You know a lot of these folks. They will all do a great job on stage. There’s that understanding what the client’s need is and how we can help fill that need. That’s real art. I feel like what our eleven agents do every day is not selling. It is understanding what their need is. Finding that point where they align with a speaker and the speaker goes, does an amazing job. That’s the real win for us. If that speaker communicates that important idea what that company is trying to get over to a thousand people in a room, the CEO can stand up there and say it all day. If someone unique comes in and does it differently, those thousand people will leave with that lodged in their head in a different and more memorable way. You said that if someone from the outside comes and says something that’s in sync with the CEO’s messaging, it somehow resonates. It reminds me of parenting a little bit. When your parents would say something as a kid, you’d be like, “Yeah.” Suddenly a teacher says it or someone else’s parents say it. You’re like, “Oh.” How we process information is so key. This concept of selling as the wrong word, I am on a mission to help people stop pushing something, which is what people perceive when they think of selling. This mindset of how can we be storytellers, consult and tell a story of another client, for example, that had a similar situation. When we brought this speaker in versus another speaker, the outcomes were fantastic in terms of emotional involvement that day, the interactiveness, the actual takeaways and the revenue and painting that picture. Whether you’re calling yourself a salesperson or an advocate or a consultant, that storytelling is the secret way to pull people in. If they can visualize themselves in the story, then it’s a whole different conversation. The mindset of, “I’m here to help serve you,” as opposed to pushing something out to you is keen. You’re in a fortunate position. This is Premiere Speakers Bureau’s 25th anniversary. Congratulations. You’re in a unique position in that you have a lot of existing clients for years. I’m going to ask you two questions. We’ll start with the first one about that. What advice do you have to people who are reading to keep those clients loyal? Early on and I give credit to our Founder, his name is Duane Ward. Duane founded Premiere. Twenty years ago, I came in five or six years in. We have always had a very heavy focus on customer service. That’s the thing that everybody says. That’s an easy thing to say. We’ve invested significant amounts of revenue in not just service but the things above and beyond, sending multiple gifts throughout the year to our clients who may book one event with us each year, but they’ll get a number of handwritten notes. They’ll get different gifts from us throughout the year, different items. Small things we’ve discovered over the years resonate with people if it’s done from a genuine perspective. To some degree when Premiere started, we were small and scrappy. Our industry, there are two big approaches, John. It’s getting a little bit into the weeds. Those that represent a number of visible names who were former world leaders. There’s a confidence that comes with that that my phone is going to ring from a former president of the United States and I’ll take the orders as they come. If I’m transparent, we didn’t have that opportunity early on. Our focus was we need to cultivate client relationships and then help solve their problems by providing great speaker options and speaker opportunities to them versus answering the phone and say yes or no, is the budget there, all those things. It feels like we’re doing it well. We can always do it better. As we’ve grown and been blessed and seeing lots of opportunities and we’ve added those world leaders to our roster, we’ve always tried to keep that approach of, “Client, we want to serve you first.” There are security concerns and all these things for these world leaders that we represent. We never want the feeling to be, “Client, you now matter less because we have an important name or an important individual on our roster. Client, we’re still here to serve your needs also.” First is if we’re honest, that’s our approach. That sounds like a thin line, but it’s one I think has served us well. That service piece, we take it very seriously. We invest very heavily in real dollars to make sure our clients know that we appreciate the relationship. I love this personal touch. The concept of a personal Thank You note, which used to be a standard thing years ago. When everyone else emails and you still take the time to write a personal note, it stands out and breaks through the clutter. 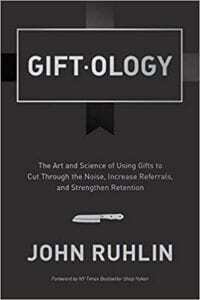 Ironically, I’ve interviewed John Ruhlin, who did a whole book about Giftology and the importance of smart gift giving and how he works with companies to give thoughtful gifts at unexpected times. When I was in sales at Condé Nast, I put Google Alerts on all my clients. If they had a good stock report, if Guess Jeans’ stock is up X percent, I’d send a little note or a congratulatory gift. All the contact is not about selling, but knowing that I was in their corner cheering them on, congratulating them. Clients, they understand that there’s a transaction to take place. I’m a client of many people in sales. It’s not a pejorative or negative thing when they sell me something. I think it’s Henry Ford. It’s been attributed to many people that nothing moves until someone sells something. The world is going around. It is the feeling of are you only selling me something or can we also have a relationship while you sell something? Again, it feels like finding the narrow path there. I, as a human being, when I am the consumer, I feel that difference. You do. We’d be naïve to think that our customers don’t feel that difference as well. I always compare it to being a copilot with your buyer. When you’re on a plane and they say, “We’re now landing in Nashville,” nobody stands up and says, “What? We’re landing? I thought we’re running around forever.” It’s the same thing in a sales situation. Eventually, you’re going to ask them, “Would you like to hire somebody? There’s an event coming up.” You do have to pull the trigger eventually. I think that mindset helps. That’s a great insight as to how you keep your clients loyal. A lot of the people reading the blog would like to also possibly know how do you keep good talent because clearly the same authenticity and thoughtfulness and never taking people for granted that applies in relationships for clients, I’m imagining it applies for the team that you’ve built. I’ve been at Premiere for nineteen years. I’d love to say that all nineteen of those have been doing it correctly. That would not be disingenuine to say that. Some of that was making mistakes along the way and saying, “I don’t want to recreate that mistake.” We’ve worked very hard to create what every company says family. That’s a bad analogy because you never get fired from your family or you never get laid off from your family. That’s the analogy that holds true in many ways. We worked very hard to make this feel familial in small ways. Everyone at Premiere is very blessed in life as they succeed. They see the results of that. You acquired another speaking bureau. Can you tell us what generated that and what that experience was like? We agreed that our cultures could mix and mingle and there wouldn’t be any shock either direction. There are always some surprises but relatively few, if I’m to be honest with you. Over the course of several months, we went through the acquisition process. We did everything. We removed ourselves from the process to a large degree, bring in an outside company to handle the transaction, an outside valuation company because I wanted him to feel like it was a win for him. Premiere is an AESOP. I have a duty to all of our employees here who were technically the owners of the company at this point to get a good value on a purchase. We were able to do that. John, I would say over the last months, the acquisition closed in June. They have not only thrived but significantly grown their production, the number of dates and the speaker relationship. It’s been a win. Would you say that part of the reason this merger or acquisition in your case has been successful, is that you’re bringing some new technology and things that they didn’t have in place that allows them to be more productive? Yes. National Speakers Bureau had existed much longer than Premiere. It has a very strong core base of clients who adore them. Clients that we not spoken to or worked with before, they had chosen our speakers because of those strong relationships like when we spoke about. We’ve invested very heavily on technology. Our competitors would say Premiere is almost a technology company as much as we are speakers bureau. We were able to integrate them into our systems, accounting, the backend services, logistics, air travel, all of those things within a week or two. I applaud our IT team. We have five people on that team. They integrated NSB very quickly allowing the NSB crew to truly go out and work with clients and continue those relationships and not have to worry or stress over all the heavy lifting that we can do because of our backend systems. Do you imagine almost every company I have ever worked with, no matter how comfortable you are with these existing customers, there’s still an effort to go get new clients? We’ve already covered how we keep these existing clients loyal. We’ve covered how we keep the team loyal with gratitude and appreciation and acknowledgment. We’ve covered why this was a cultural fit for the acquisition. The last thing remaining would be how do you decide which accounts you’re going to target that might want to work with Premiere Speakers Bureau and what is it that you say in your pitch that allows you to stand out as a brand? That like many industries is very specific to the sector of the business. You have association clients. They get calls from every bureau every day. That’s an exaggeration but probably not by much. Corporate clients, because they’re event planners, are more shielded. Those are a little bit more strategic where it’s attempting to connect through a third party or something along those lines. There are definitely are some commonalities across those sectors. It does get very splintered quickly. Our big approach is we are comfortable in spending to make an impact or to acquire a client or at least the attention of a client. The other side we have the benefit of we’re not solely focused on one, two, three or four products. We have ultimately the ability if we see a business sector or an area of our industry that we think is underserved, we can go out and find two or three speakers that we feel are very strong on content that works in those areas. That essentially gives us a product to go to those buyers to say, “This product is perfectly designed for you.” That’s a huge benefit in the speaking industry because if you Google motivational speaker, I promise you’ll get tired before you get to the end of the result page. We have a great opportunity and we have to be strategic in what speakers we add because ultimately that that to some degree determines what type of clients are attracted to what we’re offering. Speaking: To be the hero is truly to add value and to be a guide in some small way that resonates. You should be a speaker, John. I love doing it and I love interviewing people like you who got such a great passion and a message for what you’re doing. Is there any last thought you want to leave us with about either a book you want to recommend or a philosophy that has worked for you to become the CEO or be so successful in life that you would want to share? John, you have a speaker that lives in your space, the story space, a guy named Donald Miller. If you don’t know each other, you should. You guys could blow a dinner parties minds with your thoughts on the story and conveying the story. I saw Don speak years ago. I knew him from some past relationships. His approach is, “Shawn, the sales process is not the hero of the story. I’m the guide in the story.” I felt like for the first time I’d heard someone describe exactly our approach. 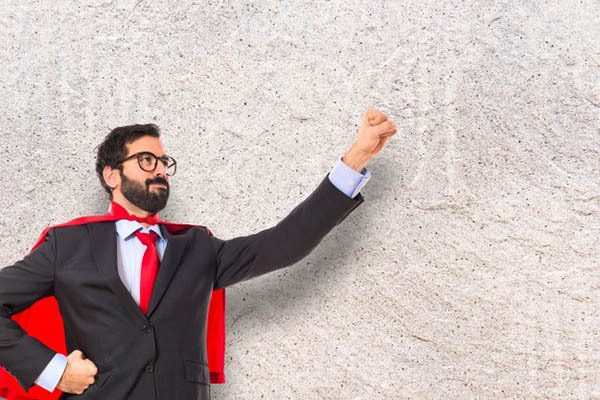 Premiere Speakers is not the hero in our event partner’s story. We want them to stand on stage and get the accolades and the applause. We have a product and we sell that product or we make it available. Ultimately, we want them to be the hero. I felt like personal lives, professional lives as I’ve utilized that approach and been intentional about it that I’m not the hero in your story. If I’m here to add some value, I want to do that and I want to elevate this conversation and the thoughts and other people’s minds for the day. That’s not to be the hero. It’s to add value and to be a guide in some small way that resonates. I have literally written down on my desk, I read it 50 times a day. What I love is 20 or 30 years from now, someone says that about me, I’ll take that as a win. What a great way to end this episode. I’m not the hero in your story. You are the hero. It’s such great insights. I tell people all the time, “I’m your Yoda or think of me as the Sherpa helping you get up the mountain, but you’re going to get there with me as your silver hero.” That’s wonderful stuff. Shawn, I can’t thank you enough. People can find you on the Premiere Speakers Bureau. Are there any social media that you want to promote the best way to reach your company? Premiere Speakers Bureau. Congrats to everyone in this building and the people that have helped build it for the last 25 years. As we celebrate for the next year, I’m thankful for them. You’ll find us on Twitter, @PremiereSpeaker. If you go to PremiereSpeakers.com, you’ll be able to jump to all the different social media channels from there. We would love to help anyone. Please remind us that you connected with us through John. We’d love to know that.